CT2605 - 100% Polyester, 7.5oz. Full zip tech fleece. Mesh lined drawstring hood & hand warmer pockets. 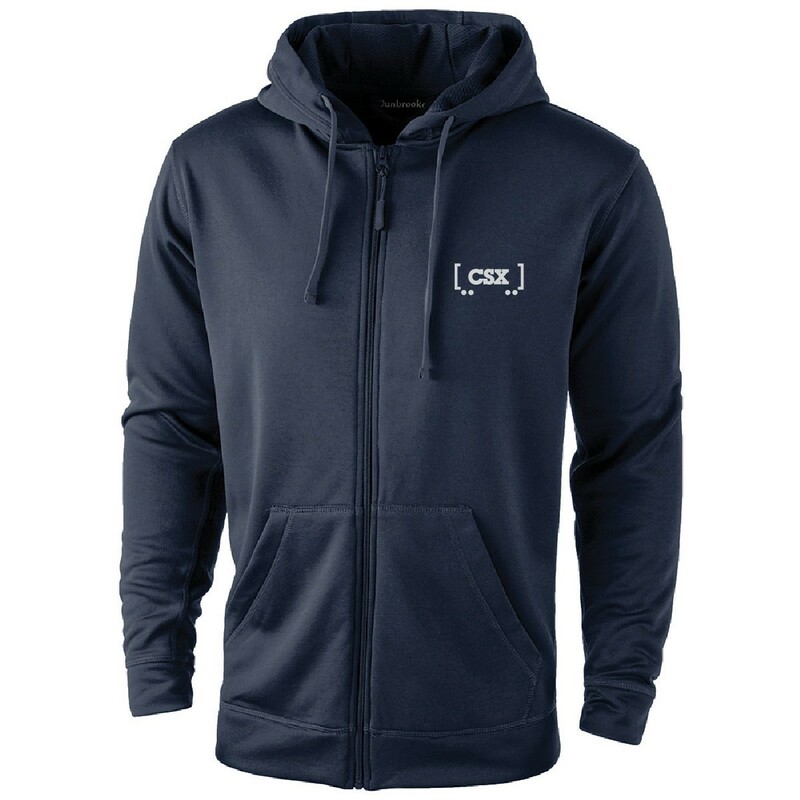 Navy blue with silver CSX railcar logo.